Sarah Churchill (née Jenyns, spelt Jennings in most modern references), Duchess of Marlborough (5 June 1660 – 18 October 1744) rose to be one of the most influential women in British history as a result of her close friendship with Queen Anne of Great Britain. Sarah's friendship and influence with Princess Anne was widely known, and leading public figures often turned their attentions to her in the hope that she would influence Anne to comply with requests. As a result, by the time Anne became queen, Sarah’s knowledge of government, and intimacy with the Queen, allowed her to become a powerful friend and a dangerous enemy, the last in the long line of Stuart favourites. In an age when marriage was principally for money, not love, Sarah enjoyed an unusually close relationship with her husband, John Churchill, the first Duke of Marlborough, whom she married in 1677. Sarah acted as Anne's agent after her father, James II, was deposed during the Glorious Revolution; and she promoted her interests during the rule of James's successors, William III and Mary II. When Anne came to the throne after William's death in 1702, the Duke of Marlborough, together with Sidney Godolphin, the first Earl of Godolphin, rose to head the government, partly as a result of his wife's friendship with the queen. While the Duke was out of the country commanding troops in the War of the Spanish Succession, Sarah kept him informed of court intrigue, while he sent her requests and political advice which she would then convey to the Queen. Sarah tirelessly campaigned on behalf of the Whigs, while also devoting much of her time to building projects such as Blenheim Palace . She died in 1744 at the age of eighty-four. A strong-willed woman who liked to get her own way, Sarah tried the Queen's patience whenever she disagreed with her on political, court or church appointments. After her final break with Anne in 1711, she was dismissed from the court with her husband, but she returned to favour under the Hanoverians after Anne's death. She had famous subsequent disagreements with many important people, including her daughter the second Duchess of Marlborough; the architect of Blenheim Palace, John Vanbrugh; prime minister Robert Walpole; King George II; and his wife, Queen Caroline. The money she inherited from the Marlborough trust left her one of the richest women in Europe. Sarah Jennings was born on 5 June 1660, probably at Holywell House , St Albans ,Hertfordshire . She was the daughter of Richard Jennings (or Jenyns), a Member of Parliament, and Frances Thornhurst. Richard Jennings came into contact with James, Duke of York (the future James II, brother of King Charles II) in 1663, during negotiations for the recovery of an estate. James's first impressions were favourable, and in 1664 Sarah’s sister, Frances, was appointed maid of honour to the Duchess of York, Anne Hyde. Although Frances was forced to give up the post because of her marriage to a Catholic, James did not forget the family, and in 1673 Sarah entered court as maid of honour to James’s second wife, Mary of Modena. became close to the young Princess Anne in about 1675, and the friendship grew stronger as the two grew older. At the age of seventeen, in 1676, she met and was courted by her future husband, John Churchill. Churchill, who had previously been a lover of Charles II’s mistress, Barbara Palmer, Duchess of Cleveland, had little to offer financially, as his estates were deeply in debt. Sarah had a rival for Churchill in Catherine Sedley, a wealthy mistress of James II and the choice of Churchill's father, Sir Winston Churchill, who was anxious to restore the family's fortune. It is likely that John hoped to take Sarah as a mistress in place of the Duchess of Cleveland, who had recently departed for France , but surviving letters from Sarah to John show her unwillingness to assume that role. In 1677, Sarah's brother Ralph died, and she and her sister, Frances, became co-heirs of the Jennings estates in Hertfordshire and Kent. John chose Sarah over Catherine Sedley, and they were secretly married in the winter of 1677. They were both Protestants in a court that was predominantly Catholic, a belief which would later influence their political allegiances. Although no date was recorded, the marriage was announced only to the Duchess of York, and a small circle of friends, so that Sarah could keep her court position as Maid of Honour. When she became pregnant, her marriage was announced publicly (on 1 October 1678), and Sarah retired from the court to give birth to her first child, Harriet, who died in infancy. When the Duke of York went into self-imposed exile to Scotland as a result of the furore surrounding the Popish Plot, John and Sarah accompanied him, and Charles II rewarded John's loyalty by creating him Baron Churchill of Eyemouth in Scotland, Sarah thus becoming Lady Churchill. The Duke of York returned to England after the religious tension had eased, and Sarah was appointed a Lady of the Bedchamber to Anne after the latter's marriage in 1683. After this further disappointment, James fled the country. Although Sarah implied that she had encouraged the escape for the safety of Princess Anne, it is more likely that she was protecting herself and her husband. If James had defeated Prince William of Orange's army, he could have imprisoned and even executed Lord and Lady Churchill for treason. It is not likely that he would have subjected his daughter to such a fate. for Sarah during the reign of William and Mary was difficult. Although the new King and Queen had awarded Sarah’s husband the title Earl of Marlborough, Sarah and John enjoyed considerably less favour than they had during the reign of James II. The new Earl of Marlborough had supported the now exiled James; and by this time Sarah’s influence on Anne, and her cultivation of high members of the government to promote Anne’s interests, was widely known. Mary II responded to this by demanding that Anne dismiss Sarah. However, Anne refused. This created a rift between Mary and Anne that never healed. Other problems also emerged. In 1689, Anne's supporters (including the Marlboroughs and the Duke of Somerset) demanded that she be granted a parliamentary annuity of £50 000, a sum that would end her dependence on William and Mary. Sarah was seen as the driving force behind this bill, creating further ill-feeling towards her at court. William responded to the demand by offering the same sum from the Privy Purse, to keep Anne dependent on his generosity. However, Anne, through Sarah, refused, pointing out that a parliamentary grant would be more secure than charity from the Privy Purse. Eventually Anne received the grant from parliament, and felt she owed this to Sarah's efforts. Sarah's success as a leader of the opposition only intensified Queen Mary's animosity towards the Marlboroughs. Although she could not dismiss Sarah from Anne's service, Mary responded by evicting Sarah from her court lodgings at the Palace of Whitehall . Anne responded by leaving the court as well, and Sarah and she went to stay with their friends Charles Seymour, the sixth Duke of Somerset, and Elizabeth, the Duchess of Somerset at Syon House . Anne continued to defy the Queen’s demand for Sarah’s dismissal, even though an incriminating document signed by the Earl of Marlborough supporting the recently exiled James II and his supporters had been discovered. This document is likely to have been forged by Robert Young, a known forger and disciple of Titus Oates; Oates was famous for stirring a strongly anti-Catholic atmosphere in England between 1679 and the early 1680s. The Earl was imprisoned in the Tower of London . The loneliness Sarah suffered during these events drew her and Anne closer together. Following the death of Mary II from smallpox in 1694, William III restored Anne’s honours, in an effort to increase his popularity with the English, and provided her with apartments at St. James's Palace . He also restored the Earl of Marlborough to all his offices and honours, and exonerated him from any past accusations. However, fearing Sarah’s powerful influence, William kept Anne out of government affairs, and he did not make her regent in his absences. In 1702, King William III died, and Anne became Queen. Anne immediately offered John Churchill a dukedom, which Sarah initially refused. Sarah was concerned that a dukedom would strain the family's finances; a ducal family at the time was expected to show off its rank through lavish entertainments. Anne countered by offering the Marlboroughs a pension of £5000 a year, for life, from Parliament, as well as an extra £2000 a year from the Privy Purse, and they accepted the Dukedom. Sarah was promptly created Mistress of the Robes–the highest office in the royal court that could be held by a woman–Groom of the Stole, Keeper of the Privy Purse, and Ranger of Windsor Great Park. The Duke accepted the Order of the Garter, as well as the office of Captain-General of the army. During much of Anne’s reign, the Duke of Marlborough was abroad fighting the War of the Spanish Succession, while Sarah remained in England. Despite being the most powerful woman in England besides the Queen, she appeared at court only rarely 1705, preferring to oversee the construction of her new estate, Woodstock Manor (the site of the later Blenheim Palace ), a gift from Queen Anne after the duke's victory at the Battle of Blenheim . Nevertheless, Anne sent her news of political developments in letters and consulted Sarah's advice in most matters. Anne, however, expected kindness and compassion from her closest friend. Sarah was not forthcoming in this regard and frequently overpowered and dominated Anne. 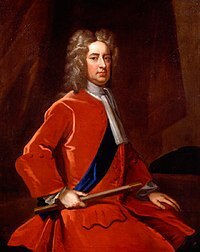 One major political disagreement occurred when Sarah insisted that her son-in-law, Charles Spencer, the third Earl of Sunderland, be admitted into the Privy Council. Sarah allied herself more strongly with the Whigs, who supported the Duke of Marlborough in the war; and the Whigs hoped to utilise Sarah's position as royal favourite. Anne refused to appoint Sunderland: she disliked the radical Whigs, whom she saw as a threat to her royal prerogative. Sarah used her close friendship with the Earl of Godolphin, whom Anne trusted, to eventually secure such appointments, but continued to lobby Anne herself. She sent Whig reading materials to Anne in an attempt to win her over to her own preferred political party. In 1704, Anne confided to Lord Godolphin that she did not think that she and Sarah could ever be true friends again. Sarah's frankness and indifference for rank, so admired by Anne earlier in their friendship, was now seen to be intrusive. Unlike most women of the time–many of whom did not have influence with their own husbands–Sarah had a powerful intimacy with the two most powerful men in the country, Marlborough and Godolphin. Godolphin, though a great friend of Sarah's, had even considered refusing high office after Anne's accession, preferring to live quietly and away from the political side of Sarah, who was bossy, interfering, and presumed to tell him what to do when Marlborough was away. Sarah, although a woman in a man's world of national and international politics, was always ready to give her advice; express her opinions; antagonize with outspoken censure; and insist on having her say on every possible occasion. However, she had a charm and vivaciousness which was admired by many; and she could easily delight those she met with her wit. Anne's apparent withdrawal of genuine affection occurred for a number of reasons. She was frustrated by Sarah's long absences from Court, and despite numerous letters from Anne to Sarah on this subject, Sarah rarely attended, and wrote her excuses in letters to Anne. There was also a political difference between them: Anne was a Tory (the party known as the "Church party", religion being one of Anne's chief concerns), and Sarah was a Whig (the party known to support Marlborough's wars). The Queen did not want this difference to come between them; but Sarah, always thinking of her husband, wanted Anne to give more support to the Whigs, which she was not prepared to do.Field, pp. 111, 112. Sarah was called to Cambridge in 1703, where her only surviving son, John, Marquess of Blandford, was taken ill with Smallpox. The Duke of Marlborough was recalled from the war and was at his bedside when he died on 20 February 1703. Sarah was heartbroken over the loss of her son and became reclusive for a period, expressing her grief by closing herself off from Anne and either not answering her letters or doing so in a cold and formal manner. However, Sarah did not allow Anne to shut her out when Anne suffered bereavement. After the death of Anne's husband, Prince George of Denmark in 1708, Sarah arrived uninvited at Kensington Palace to find Anne with the prince's body. She pressed the heartbroken Queen to move from Kensington to St James's Palace in London , which Anne bluntly refused, and instead commanded Sarah to call Abigail Masham to attend her. Aware that Abigail was gaining more influence with Anne, Sarah disobeyed her, and instead scolded her for grieving over Prince George's death. Although Anne eventually submitted and allowed herself to be taken to St James's Palace, Sarah's insensitivity greatly offended her and added to the already significant strain on the relationship. Sarah had previously introduced her impoverished cousin, then known as Abigail Hill, to court, with the intention of finding a role for her. Abigail, the eldest daughter of Sarah's aunt, was working as a servant to Sir John Rivers of Kent. Sarah gave her employment within her own household at St Albans , and after a tenure of satisfactory service, Abigail was made a Lady of the Bedchamber to Queen Anne in 1704. Sarah later claimed in her memoirs that she had raised Abigail "in all regards as a sister". Abigail was also the second cousin of the Tory leader, Robert Harley, later first Earl of Oxford and Mortimer. Flattering, subtle and retiring, Abigail was the complete opposite of Sarah, who was dominating, blunt and scathing. During Sarah’s frequent absences from court, Abigail and Anne grew close; Abigail was not only happy to give the Queen the kindness and compassion that Anne had longed for from Sarah, but she also never pressured the Queen about politics; Anne responded with pathos to her flattery and charm. She was present at Abigail’s secret wedding to Samuel Masham, groom of the bedchamber to Prince George, in 1707, without Sarah’s knowledge. Sarah was completely oblivious to any friendship between Anne and Abigail, and was therefore surprised when she discovered that Abigail frequently saw the Queen in private. Sarah found out about Abigail's marriage several months after it had occurred, and immediately went to see Anne – with the intention of informing her of the event. It was at this interview that Anne let slip that she had begged Abigail to tell Sarah of the marriage; Sarah became suspicious about what had really happened. After questioning servants and Royal Household for a week about Abigail's marriage, Sarah discovered that Anne had been present and had given Abigail a dowry of £2000 from the Privy Purse. This proved Anne's duplicity to Sarah: as Keeper of the Privy Purse, Sarah had been unaware of any such payment. In July 1708, the Duke of Marlborough, with his ally Prince Eugene of Savoy, won a great victory at the Battle of Oudenarde. On the way to the thanksgiving service at St Paul's Cathedral , Sarah engaged in a furious argument with Anne about the jewels Anne wore to the service, and showed her a letter from the Duke of Marlborough which expressed hope that the Queen would make good political use of the victory. The implication that she should publicly express her support for the Whigs offended her; and at the service, Sarah told the Queen to "be quiet" after Anne continued the argument, thus offending the Queen still further. Anne wrote to Marlborough encouraging him not to let her rift with Sarah become public knowledge; but he could not prevent his wife's indiscretion. Sarah continued vehemently supporting the Whigs in writing and speaking to Anne, with the support of Godolphin and the other Whig ministers. The news of the public's support for the Whigs reached Marlborough in letters from Sarah and Godolphin, which influenced his political advice to the Queen. Anne, already in ill health, felt used and harassed and was desperate for escape. She found refuge in the gentle and quiet comfort of Abigail Masham. Anne had explained before that she did not wish the public to know that her relationship with Sarah was failing, because any sign that Sarah was out of favour would have a damaging impact on the duke of Marlborough's authority as Captain-General. Sarah was kept in all of her offices–purely for the sake of her husband's position as Captain-General of the army–and the tension between the two women lingered on until early in 1711. This year was to see the end of their relationship for good. Sarah had always been jealous of Anne's affection for Abigail Masham. Together with the Duke of Marlborough and most of the Whig party, she had tried to force Anne to dismiss her. All these attempts failed, even when Anne was threatened with an official parliamentary demand from the Whigs, who were suspicious of Abigail's Tory influence with Anne, for Abigail's dismissal. The whole scenario echoed Anne's refusal to give up Sarah during the reign of William and Mary; but the threat of Parliamentary interference exceeded anything tried against Anne in the 1690s. Anne was ultimately triumphant; she conducted interviews with high ranking politicians of both political parties and begged them "with tears in her eyes" to oppose the motion. The passion she showed for Abigail, and the stubborn refusal to dismiss her, angered Sarah to the point that she implied that a lesbian affair was taking place between the two women. During the mourning period for Anne's husband, Sarah was the only one who refused to wear suitable mourning clothes. This gave the impression that she did not consider Anne's grief over his death to be genuine. Eventually, as a result of mass support for peace in the War of the Spanish Succession, Anne decided she no longer needed the Duke of Marlborough and took the opportunity to dismiss him on trumped-up charges of embezzlement. Sarah's last attempt to re-establish her friendship with Anne came in 1710, when they had their final meeting. An account written by Sarah shortly afterwards shows that she pleaded to be given an explanation of why their friendship was at an end, but Anne was unmoved. After hearing this, the Duke of Marlborough, realising that Anne intended to dismiss them, begged her to keep them in their offices for nine months, until the campaign was over, so that they could retire honourably. However, Anne told Marlborough that “for her [Anne's] honour” Sarah was to resign immediately and return her gold key–the symbol of her authority within the Royal household–within two days. Years of trying the Queen's patience had finally resulted in her dismissal. When told the news, Sarah, in a fit of pride, told Marlborough to return the key to the Queen immediately. In January 1711, Sarah was stripped of the offices of Mistress of the Robes and Groom of the Stole and replaced by Elizabeth Seymour, Duchess of Somerset. Abigail was made Keeper of the Privy Purse. This broke a promise Anne had made to distribute these court offices to Sarah's children. The Marlboroughs also lost state funding for Blenheim Palace , and the building came to a halt for the first time since it was begun in 1705. Now in disgrace, they left England and travelled Europe. As a result of his success in the War of the Spanish Succession, the Duke of Marlborough was a favourite among the German courts and with the Holy Roman Empire, and the family was received in those places with full honours. Sarah, however, did not like being away from England, and often complained that they were received with full honours in Europe, but were in disgrace at home. Sarah found life travelling the royal courts difficult, remarking that they were full of dull company. She took the waters at Aix-la-Chapelle in Germany on account of her ill health, corresponded with those in England who could supply her with political gossip, and indulged in her fascination with Catholicism. Sarah and the Queen never made up their differences, although one eyewitness claimed to have heard Anne asking whether the Marlboroughs had reached the shore, leading to rumours that she had called them home herself. Queen Anne died on 1 August 1714 at Kensington Palace ; the Protestant Whig Privy Councillors had insisted on their right to be present, preventing Henry St. John, the first Viscount Bolingbroke from declaring for the Pretender, James Francis Edward Stuart. The Marlboroughs returned home on the afternoon of Anne's death. The Act of Settlement of 1701 ensured a Protestant succession by passing over more than fifty stronger Roman Catholic claimants and proclaiming Georg Ludwig, Elector of Hanover (the great grandson of James I through his mother Sophia of Hanover), King George I of Great Britain. The new reign was supported by the Whigs, who were mostly staunch Protestants. The Tories were suspected of supporting the Catholic Pretender James Francis Edward Stuart. George I rewarded the Whigs by forming a Whig government; at his welcome in Queen's House at Greenwich , he conversed with the Whigs but not with the Tories. Sarah approved of his choice of Whig ministers. King George also had a personal friendship with the Marlboroughs; the Duke of Marlborough had fought with him in the War of the Spanish Succession, and John and Sarah made frequent visits to the Hanoverian court during their effective exile from England. George's first words to Marlborough as King of Great Britain were, “My lord Duke, I hope your troubles are now over;” Marlborough was restored to his old office of Captain-General of the Army. Sarah was relieved to move back to England. The Duke of Marlborough became one of the king's close advisers, and Sarah moved back into Marlborough House , where she flaunted her eldest granddaughter, Lady Henrietta Godolphin, in the hope of finding a suitable marriage partner. Henrietta eventually married Thomas Pelham-Holles, first Duke of Newcastle-upon-Tyne, in April 1717, and the rest of Sarah's grandchildren went on to make successful marriages. However, Sarah's concern for her grandchildren briefly came to a halt when her husband had two strokes in 1716, the second of which left him speechless. Sarah spent much of her time with him, accompanying him to Tunbridge Wells and Bath , and he recovered shortly afterwards. Even after his recovery, Sarah opened his correspondence and filtered the letters Marlborough received, in case the contents caused another stroke. Sarah's relationship with her children was also strained. Although she had a good relationship with her daughter, Anne Spencer, she became estranged from her daughters Henrietta, Elizabeth and Mary. After Elizabeth's death from smallpox in 1714, Sarah wrote to Robert Jennings (a friend and distant relation): “All the arguments I can possibly think of can't hinder me from lamenting as long as I live of what I had so much reason to love.” Similarly heartbroken when her favourite daughter Anne Spencer died in 1716, Sarah kept her favourite cup, a lock of her hair, and adopted the Sunderlands' youngest child, Lady Diana, who would later become her favourite granddaughter. Sarah's youngest daughter Mary, Duchess of Montagu, outlived her mother; the two never reconciled. Sarah’s personal income was now considerable, and she used the money to invest in land; she believed this would protect her from currency devaluation. The dowager duchess purchased Wimbledon in 1723, and rebuilt the manor house. Her wealth was so considerable that Sarah hoped to marry her granddaughter, Lady Diana Spencer, to Frederick, Prince of Wales, for which she would pay a massive dowry of £100,000. However, Robert Walpole, the First Lord of the Treasury (effectively the same as today's Prime Minister) vetoed the plan. Walpole, although a Whig, had alienated Sarah by supporting peace in Europe; she was also suspicious of his financial probity; and Walpole, in turn, mistrusted Sarah. Despite this, good relations with the royal family continued, and Sarah was occasionally invited to court by Queen Caroline, who attempted to cultivate her friendship. The Duchess of Marlborough fought against anything she thought was undue extravagance. She wrote to the Duke of Somerset, "I have reduced the stables to one third of what was intended by Sir John [Vanbrugh] yet I have room for fine horses." She allowed only two features of extravagance: the Marlboroughs's tomb in the Blenheim chapel, designed by William Kent; and the Doric Column of Victory in the park designed by Henry Herbert, ninth Earl of Pembroke, and finished by Roger Morris. The latter rose to a height of , complete with fine embellishments. The Duchess carefully monitored the construction of all Blenheim's features, and she fell out with anyone who did not do exactly what she wanted. These detailed inspections extended to her smaller land purchases. After buying the Wimbledon estate (which she described as “upon clay, an ill sod, very damp and...an unhealthy place”), and Holdenby House near Althorp , she kept detailed accounts of her finances and expenditure, as well as a sharp look-out for any dishonesty in her agents. Her friendship with Queen Caroline ended when Sarah refused the Queen access through her Wimbledon estate, which resulted in the loss of her £500 income as Ranger of Windsor Great Park. Sarah was also rude to King George II–making it clear that he was "too much of a German"–which further alienated her from the court. Her persona non grata status at the Walpole-controlled court prevented her from suppressing the rise of the Tories; Walpole's taxes and peace with Spain were deeply unpopular with ruling class English society, and the Tories were gaining much more support as a result. Sarah continued to appeal against court decisions which ruled that funding for Blenheim should come from the Marlborough's personal estate, and not the government. This made her unpopular; she could easily afford the payments herself. She was surprised by the grief she felt following the death of her eldest daughter in 1733, but continued to quarrel with her youngest daughter Mary, Duchess of Montagu. Sarah lived to see her enemy Robert Walpole fall in 1742, and in the same year attempted to improve her reputation by approving a biographical publication titled An Account of the Dowager Duchess of Marlborough from her first coming to Court to the year 1710. She died of old age, in her eighty-fifth year, on 18 October 1744, at Marlborough House ; she was buried at Blenheim . Her husband’s body was exhumed from Westminster Abbey and buried beside her. Although the Duchess of Marlborough’s downfall is chiefly attributed to her selfish and self-serving relationship with Queen Anne, she was a vibrant and intelligent woman, who loyally promoted Anne's interests when she was princess. Anne was a dull conversationalist and Sarah did not find her company stimulating. Sarah believed that she had a right to enforce her political advice, whether Anne personally liked it or not, and became angry if she stubbornly refused to take it. Abigail Masham also played a key role in Sarah’s downfall. Modest and retiring, she actively promoted the Tory policies of her cousin Robert Harley. Despite owing her position at court to the duchess of Marlborough, Abigail soon became Sarah’s enemy, and supplanted her in Anne’s affections. Mixed Media figure of the Duchess of Marlborough, by George S.
During her lifetime, Sarah drafted twenty-six Wills, the last of which was only written a few months before her death; and had purchased twenty-seven estates. With a wealth of over £4 million in land; £17,000 in rent rolls; and a further £12,500 in annuities, she made financial bequests to rising Whig ministers such as William Pitt, later the first Earl of Chatham, and Philip Stanhope, the fourth Earl of Chesterfield. Although she left little to the poor and even less to charity, she left her servants annuities far above the average for the time: her favourite, Grace Ridley, received £16,000, equivalent to approximately £1,320,000 in today's money. Much of the money left after Sarah's numerous bequests was inherited by her grandson, John Spencer, with the condition that he could not accept a political office under the government. He also inherited the remainder of Sarah's numerous estates, including Wimbledon . Marlborough House remained empty for fourteen years, with the exception of James Stephens, one of her executors, before it became the property of the Dukes of Marlborough upon Stephens' death. In 1817, it became a royal residence, and passed through members of the British royal family until it became the Commonwealth Secretariat in 1959. Wimbledon Park House succumbed to fire in 1785; and Holywell House , Sarah's birthplace in St Albans , was demolished in 1827. Today, much of St Albans is named after the Marlboroughs as a result of Sarah's influence. The main front of Blenheim Palace. Sarah died, in the words of Tobias Smollett, “immensely rich and very little regretted, either by her own family or the world in general,” but her efforts to continue the Marlborough legacy cannot be ignored. Because of her influence, Sarah managed to marry off members of her family to England’s greatest aristocratic dynasties. Among the more famous descendants of the Marlboroughs are Winston Churchill and Diana, Princess of Wales. Henrietta Churchill , 2nd Duchess of Marlborough in her own right 19 July 1681 24 October 1733 Married The Hon. Francis Godolphin (later Viscount Rialton by courtesy and 2nd Earl of Godolphin respectively) on 23 April 1698. Their son, William, Marquess of Blandford died in 1731; their daughter Henrietta married Thomas Pelham-Holles, 1st Duke of Newcastle-upon-Tyne; their daughter Mary married Thomas Osborne, 4th Duke of Leeds. Anne Churchill (later Spencer) 27 February 1683 15 April 1716 Anne married the Whig politician Charles Spencer, 3rd Earl of Sunderland on 14 September 1699. After her sister Henrietta's death in 1733, their son, Charles became 3rd Duke of Marlborough. Their son John is the ancestor of the Earls Spencer and thus of Diana, Princess of Wales. Their daughter Diana nearly married Frederick, Prince of Wales, but when the plan failed, married Lord John Russell, later 4th Duke of Bedford. Gibbs, G. C. ‘George I (1660–1727)’. Oxford Dictionary of National Biography. Oxford University Press, 2004; online edn, 2006. Gregg, Edward. ‘Anne (1665–1714)’. Oxford Dictionary of National Biography. Oxford University Press, 2004; online edn, 2006. Hattendorf, John B. ‘Churchill, John, first duke of Marlborough (1650–1722)’. Oxford Dictionary of National Biography. Oxford University Press, 2004; online edn, 2006. Murray, Hon. Sir George, ed. The Letters and Dispatches of John Churchill, First Duke of Marlborough, from 1702-1712. 5 vols. New York: Greenwood Press, 1968. Speck, W. A. ‘James II and VII (1633–1701)’. Oxford Dictionary of National Biography. Oxford University Press, 2004; online edn, 2006.